The highly sensitive camera is equipped with three newly developed 1/2,86-type three MOS sensors, allowing for high-grade filming even in low light conditions, also offering a superior S/N ratio and high resolution. In addition to 3G-SDI and HDMI output, production quality full HD video output via IP transmission is supported with the AW-HE130. 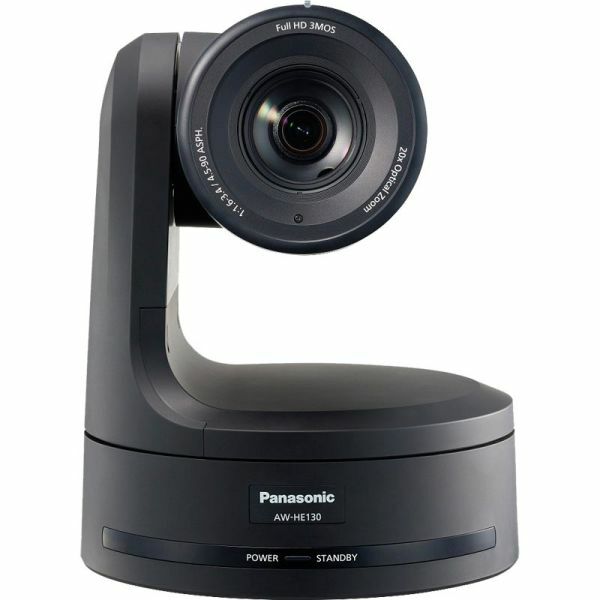 The camera delivers up to four channels of IP streaming video (H.264), with configuration levels of the quality level. 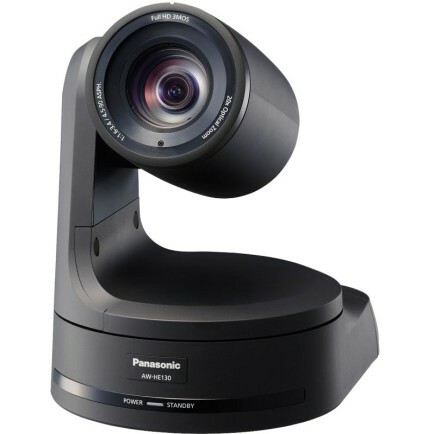 In addition to a sharp, fast F1,6, 20x optical zoom lens, the AW-HE130 is equipped with an innovative 1,4x digital extender that can increase the effective focal length of the lens by 40% while delivering smooth, high resolution video. The new built in Optical Image Stabilization System (OIS) automatically minimizes the effect of small vibrations from the surface where the camera is mounted caused; whether this is caused by the opening and closing of doors, nearby speakers, or other disturbances. Thanks to a highly evolved pan-tilt design, the AW-HE130 achieves smoother and more natural movement during on-air shots. The pan-tilt head also has a wide shooting range, with a pan range of ±175° and a tilt range of -30° to 210°. 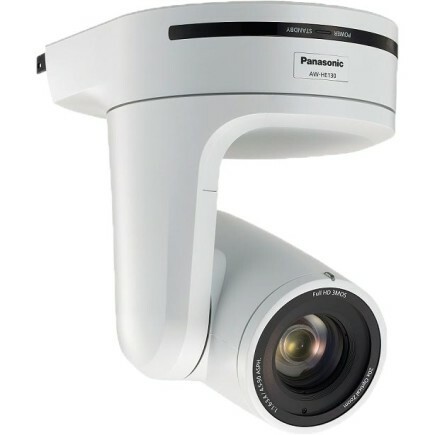 The newly developed pan tilt drive provides high-speed operation at maximum 60°/s, excellent response to remote control operation, and highly precise stop control. These features combine to accurately capture fast-action sports scenes or smooth concert footage. The noise level during operation is also very low, at NC35 or less, which is ideal for use in quiet environments. The stability of camera out was improved by optimizing the process.